The Garmin GPSMAP 66st is a handheld GPS device which is ideal for walking, hiking, biking and more. 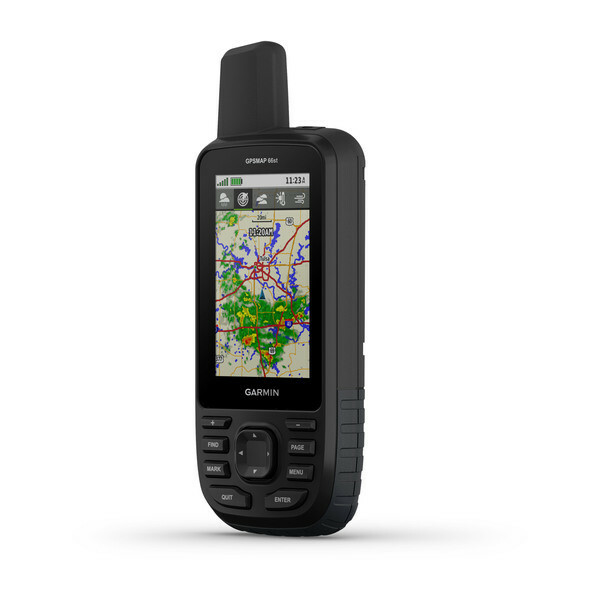 The GPSMAP 66st has a 3.0-inch colour screen and has a Multiple Global Navigation Satellite System (GNSS) connectivity. It comes preloaded with full European topographical mapping and a worldwide shaded relief basemap. With this GPSMAP 66st you also get an altimeter and 3 axis compass. The GPSMAP 66st device uses AA batteries for a battery life of up to 16 hours in GPS mode. You can add additional mapping to this GPSMAP 66st for recreational use, driving, use on water and more. It is also perfect for paperless geocaching as it will record location, terrain, difficulty, hints and descriptions. 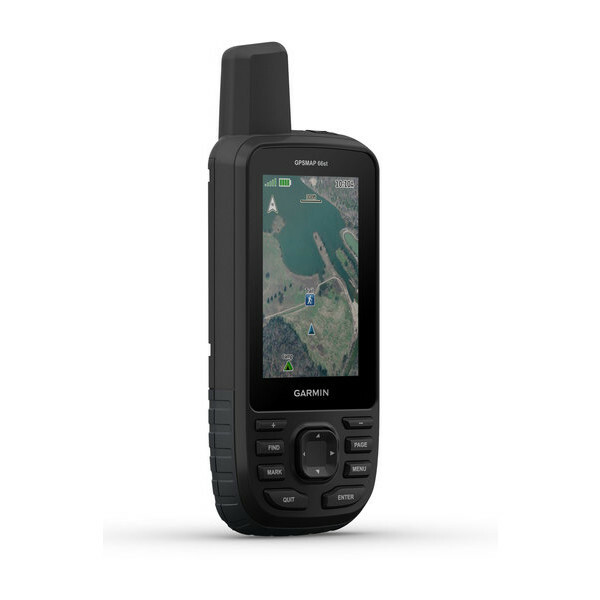 The Garmin GPSMAP 66st is a handheld GPS device which is built to military standards for thermal, shock and water performance. It has a 3-inch sunlight readable screen and Multiple Global Navigation Satellite System (GNSS) to track your journey in more challenging environments which is better than GPS alone. hiking, The GPSMAP 66st is suitable for mountain biking, climbing, goecaching, kayaking or working in outdoor environments. Preloaded TopoActive European maps provides mapping for your new GPSMAP 66st device. The GPSMAP 66st has a 16 hours battery life in GPS mode and a 1 week battery life in expedition mode. Battery power is supplied by two AA batteries. BirdsEye satellite imagery with direct-to-device downloads and no annual subscription to help you find your way. Plus the Garmin GPSMAP 66st is preloaded TopoActive European maps. Improve your Geocaching experience where you can set the GPSMAP 66st to update with the latest caches from Geocaching Live including cache descriptions, logs, hints. Wi-Fi connection and through Garmin Connect you can avoid manually entering coordinates or printing out cache details on paper. Plus each find will automatically upload to your Geocaching.com profile. 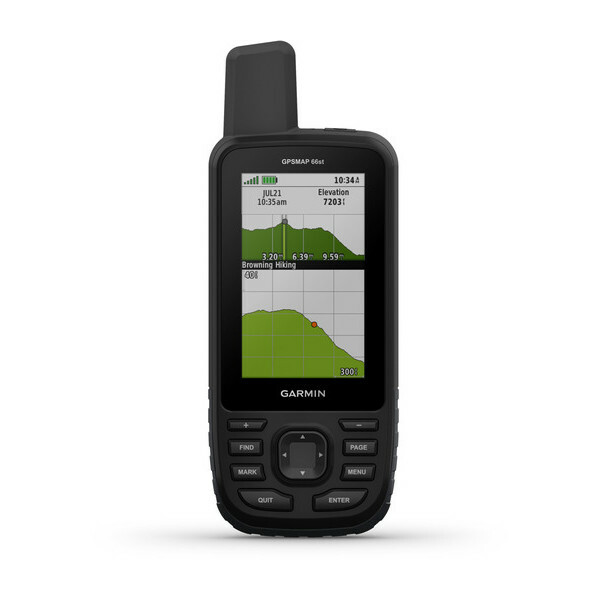 The Garmin GPSMAP 66st is built for extreme adventures. 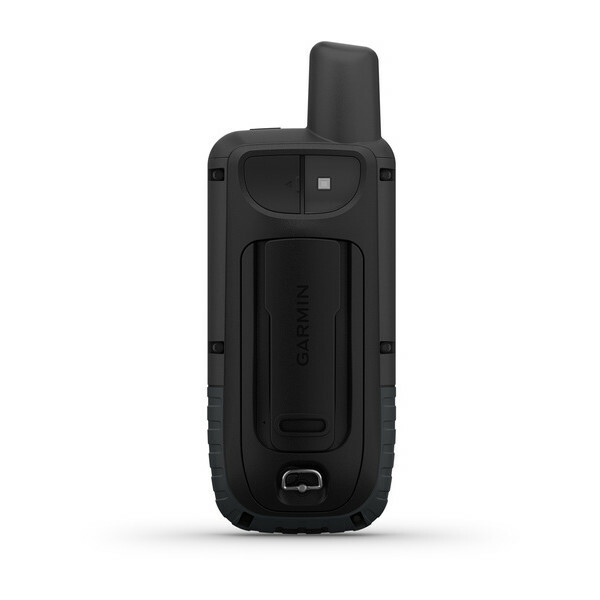 This Garmin handheld also includes SOS beacon that can be used to signal for help. You can add additional mapping to the GPSMAP 66st for use on the water (BlueCharts) and on the road (City Navigator series mapping). Garmin GPSMAP 66st is preloaded with a worldwide basemap with shaded relief and topographic maps for Europe. Please note: Additional maps can be loaded to the GPSMAP 66st. The GPSMAP 66st features a SD/microSD Card slot, an easy way to add new maps and mapping updates.